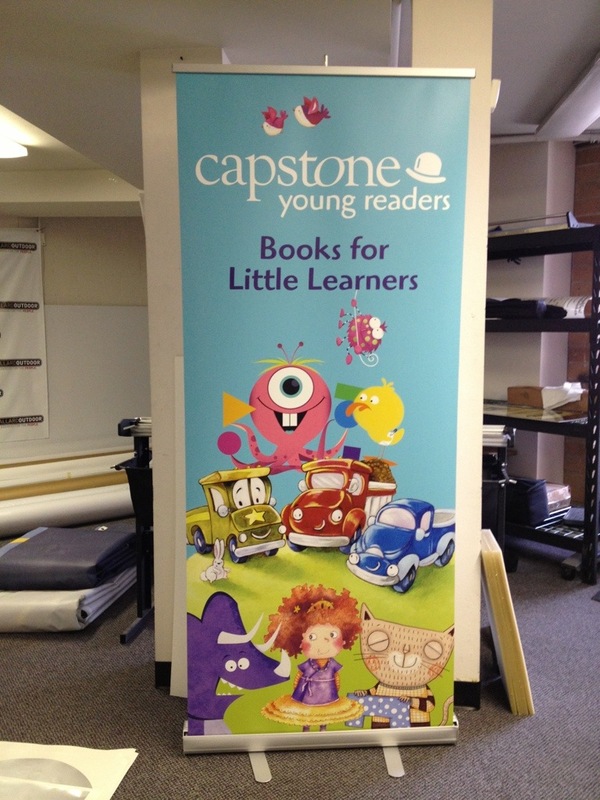 A great example of retractable banner Stand layout. Simple clean and has pop! This one from our friends at Capstone publishing in Minnesota.